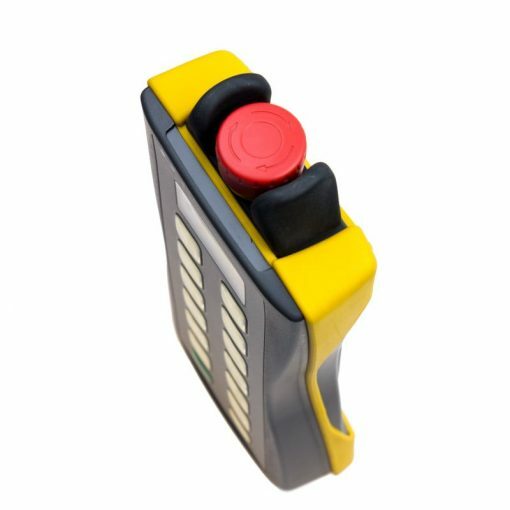 Cetus: the multifunctional industrial transmitter! 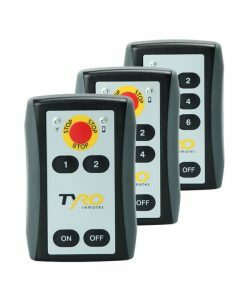 The Tyro Cetus remote controls are designed for heavy industrial applications where safety is of paramount importance. 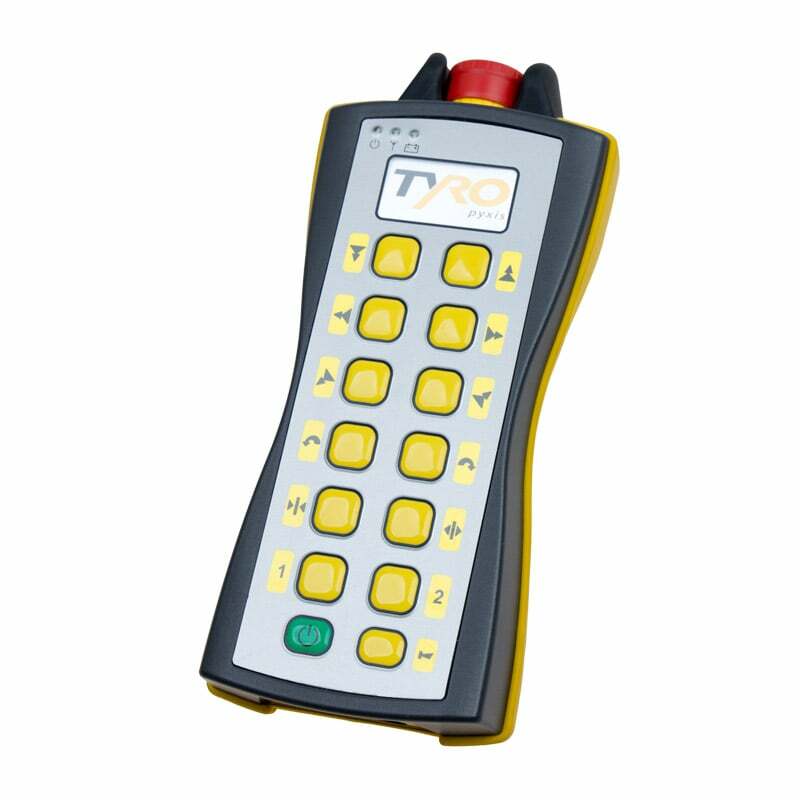 The remote complies to the highest safety standards and is equipped with an emergency stop button and a unique industrial keyboard. 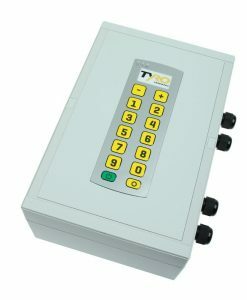 The Cetus is a highly flexible industrial remote control that can be fully configured to the customer wishes. 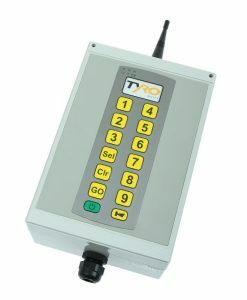 The number of functions is easy to expand, and by working with a menu on the LCD display, they remain easy to operate. 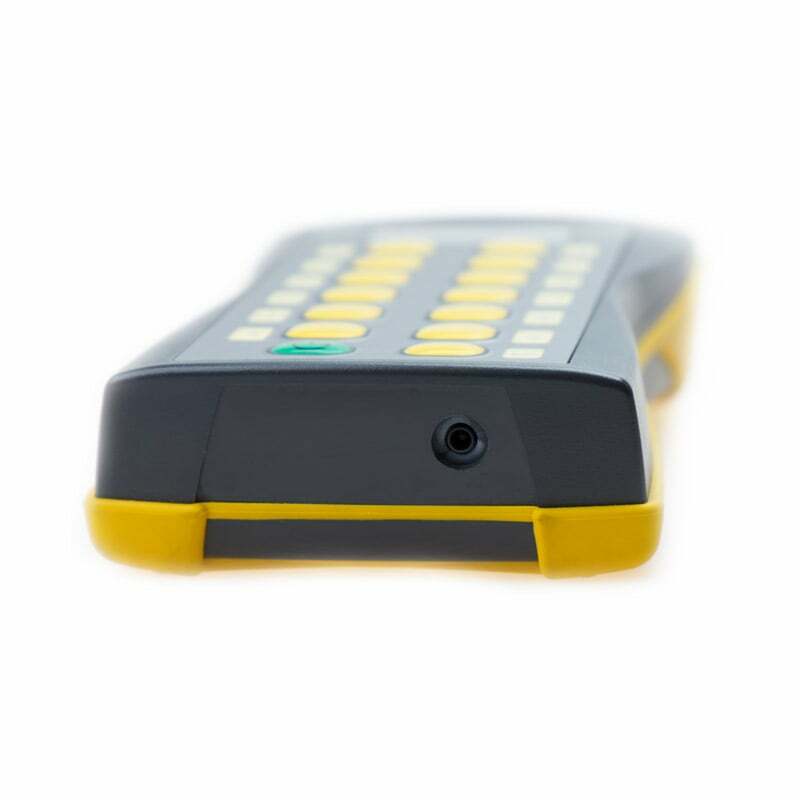 By having your own company logo and the desired key symbols on the remote, you can easily integrate this remote control in your product line or house-style of your company. 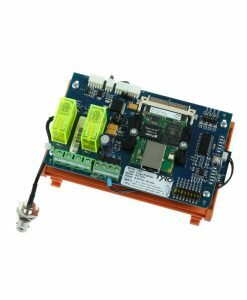 Obviously, options such as master-slave, out of range signal, flip/flop contacts, and feedback on the transmitter are possible. 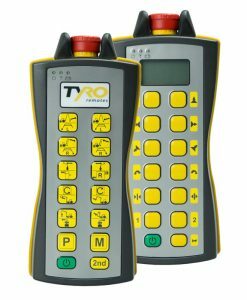 Please contact us for more information about these features. The service is available in two versions: with 12 functions and 24 features using the DCMS ® system (DoubleClick Membrane Switch ®). 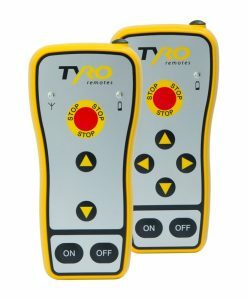 This patented system of Tyro Remotes makes it possible to operate two speeds using one button. 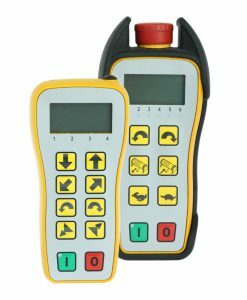 This makes Cetus system suitable for hoisting applications such as an overhead crane. 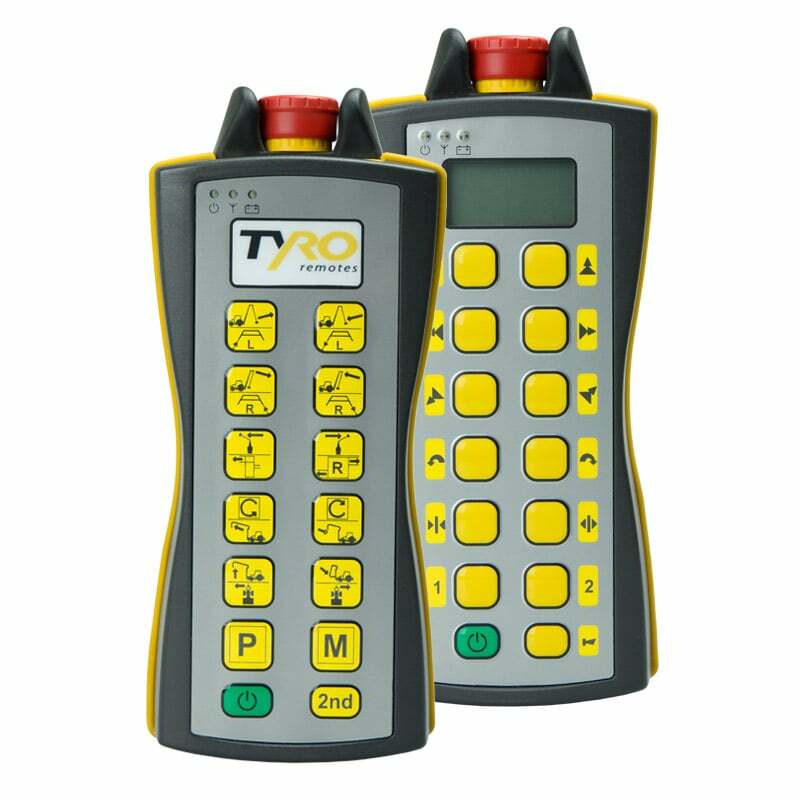 The Cetus remotes are used in combination with the Norma receiver. 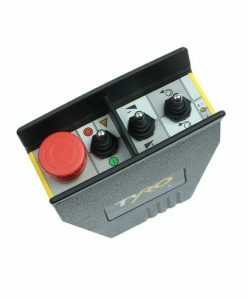 This is a very versatile receiver with multiple PLCs, which can also be installed on a control panel. This remote control can be connected to all common fieldbus systems. 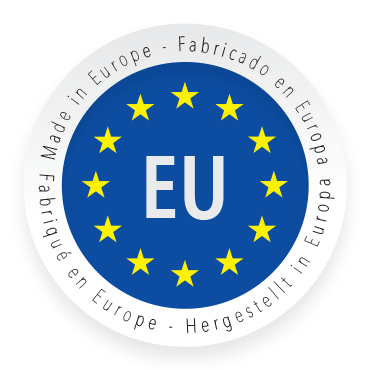 Receive the Cetus product sheet directly through your email.